Ha, no, totally fine with it, Brit. I wanted Crush, but I didn't just want to move Crush from Portal to here with little difference, friends, and such. I wanted a different Crush. So I made E-2609 Captain Crush, who's more of a badass and less emotional. As for Ana and Tully, I gave them last names since we didn't in the thread. Ana was easy, I wanted sunlight to be her last name. Problem was how, as Sol just seemed too short. Del Sol (Of The Sun) fit right, but I just mashed them together and removed a letter, Delso. Ridley, on the other hand, just seemed natural for Tully. Dunno why I thought of some alien pirate king/god of death, but hey. It fits, I think. Is it wrong that I see Ana/Delso as a punk girl who chews bubblegum 24/7 and takes no crap from nobody, even her commander? Even though she'd follow his orders to the ends of the earth anyway, I can see her giving Crush crap just because they have such a great relationship. XD And Crush tolerates it because of they're friends, and because she's one of his best soldiers and robotics expert. The post was edited 1 time, last by Spudbob ( Mar 13th 2018 ). Powers/skills: She’s a wizard! Well a witch but still. Magic! Also speaks fluent animal langues. Weaknesses: Not so fluent in human but can understand it. Just struggles speaking it. Also still learning magic. She’s pretty powerful for such a young witch. Weapons: Her wand: An 11 ¼” English oak with unicorn hair core and unbending flexibility. Appearance: Tiger Lily has bright golden eyes and red orange hair that is pretty much never tame. She’s speckled with freckles but it’s hard to tell which are legit and which are mud splatters. Style: Lily likes being able to move freely so she typically wears pants and long sleeve or short sleeved shirts. Unless she has to have shoes, she’s usually barefoot too. Personality: Tiger Lily was sorted into the HufflePuff house in Hogwarts. Hufflepuffs value hard work, patience, loyalty, and fair play. Likes: All kinds of magical creatures. She loves learning about them from Newt. Worst fears: Newt being hurt, the creatures being hurt or taken away, her powers hurting Newt or the creatures. Family: She’s lived with multiple groups of magical beasts but now is living with Newt. Backstory: Lily has never really met her birthparents. She has always been raised going to one creature family to the next until Newt came along. Now she travels with him and learns about the human and wizarding worlds. Powers/skills: Extreme Hereditary Murphy's Law (EHML or Murphy’s law) is a condition that affects Milo Murphy and his father Martin. It has been passed down through the Murphy family tree since the term "Murphy's Law" was coined by an ancestor of Milo's, Sheriff Murphy, who lived in 1875. So everything that can go wrong, typically does around him. Weaknesses: Murphy’s law can be both a blessing and a curse. Milo has been seriously injured by it many times but doesn’t seem phased by it unless someone else gets hurt or effected by it. If he’s without his backpack it’s harder for him to fend off Murphy’s law but works with what he’s got. Weapons: Everything in his backpack I suppose. His quick thinking. Appearance: Milo Murphy is a young boy. He has white skin, light brown hair, and brown eyes. He wears a formal beige shirt and a pink sweater vest with brown-greyish stripes on. His shorts are light brown and his socks are long and white. He also wears brown shoes. Milo usually wears a brown backpack full of supplies to help deal with whatever Murphy's Law throws at him. Personality: Milo Murphy is generally cheerful. He is very optimistic in the face of adversity; when bad things happen to him (and they usually do), he remains calm and always finds a solution, often taking out something from his backpack. He doesn't think someone would describe him as "tough". He considers a life lived like his is more fun than other kids' lives. Dislikes: his friends getting hurt. Worst fears: Someone getting fatally injured because of Murphy’s law. Enemies: King Pishtasion and the Pishtasions. Yeah Spud, I can see that as well. Alright, I think it's about time to start talking about the plot. I have two questions for you guys. 1: What dimensions do we wanna travel to first. They can be based on a fandom (or Aus of a fandom) or something completely original. 2: What artifacts do we want to collect? Every character can hold one (or more) of the artifacts we collect, to boost their power. Some artifacts will be mindless, just used for power, but others will have a mind of their own and will act as another character. You guys can make a Artifact (or two, or three) for your characters to hold if you'd like, or i can probably think up one for you. 1. I'm fine with anything, any universe. you guys name it, I'll play it. Abilities: Can call upon storms, even from nothing, and control lightning to the point where you can zap a man's beard hair off without singing the rest. Slight control over Rain, Thunder, weather, but only relating to storms. Nicknamed 'Raijin' after the Japanese god of storms. Although it also accepts being called by any other god of storms from any mythology, and will even change it's personality based upon which name you call it. Personality: It's actually two souls mashed together in one artifact, so while it's incredibly powerful, the souls have been fighting for some time, and are hesitant to work together. -Raijin is honorable, like a samurai, and only wishes to be used for good. It will not work when being used by evil people or for evil or unjust purposes. Those musically inclined can hear a rhythm in the storm, a beating, pounding drum in the sky. He often calls his holder '-san', a Japanese honorific. -Thor is naturally the opposite. He's rude, boorish, and loud. Yet it's obvious the storm is far more powerful while in this state, barely controlled. Thor is a warrior, and as long as the stone is being used for fighting one's enemies, he's willing to summon the storm. often refers to the holder as 'my friend', or 'brother'. Soul: Raijin and Thor share an artifact. Two powerful souls, one small rock. They've developed a bit of a hatred towards each other. While the artifact is incredibly powerful, it's next to impossible to control without taming the Gods within. Reasoning: Nick was looking for an artifact to power his own industrial revolution when he returns home. What better than a constant storm for lightning? 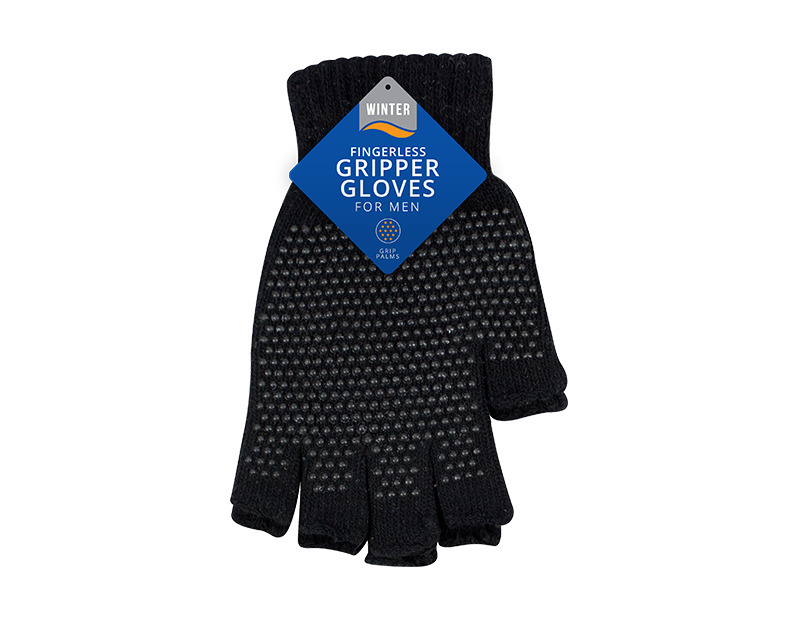 Appearance: Black Fingerless Gloves with a grippy substance on the palm. They are indistinguishable from other gloves of this type, until put on. Abilities: when worn, gives the wearer special thieving abilities, while not detracting form their skills as a thief or a fighter. The wearer can basically 'turn off' his sound, to the point that he can be as quiet as he wishes. They actually absorb sound, but the soul's so fractured that it only affects the wearer. the Gloves suffer from some drawbacks, however. While the soul piece is not incredibly powerful, it is very greedy, and transfers this greed into the wearer. Found: In the hands of a thief in the City of Thieves (Adventure Time/Land of Ooo) Which one? well, it's the city of thieves! Everyone who's lived there has had it once, or heard of it. Soul: Fraction, with the whole soul, one could even absorb ambient light, or make illusions so real they could trick anyone. Reasoning: Cats are just generally known as thieves. Yes, it's a bit cliche, but I think it fits him. Plus, it allows the benefit of giving Cat a challenge to overcome; his general slide into uncontrollable greed, to the point he may not even use rhymes anymore. And his eventual recovery past the power of the gloves. Extra: T may get his own artifact, but most likely not. We'll see, since I made them to be one kind of person. Artifact: Hades's Gun ('Happy Trails') and Hades's Bullet. Appearance: Hell's Gun is a large, wooden-handled gold and silver revolver. Hell's Bullet is a Golden bullet that is created by cocking the hammer on the pistol. It's not actually a physical bullet, instead a large concentrated force of magical energy compressed into the shape of the bullet, and fired into the spiritual realm. Abilities: Hell's bullet is a powerful spirit bullet, produced by the soul of the gun. It has the knockback power of a 6 gauge shotgun, but deals no physical damage, instead damaging the soul. Enough hits to the soul can kill a person, same as any other gun. Those who wield Hell's Gun also have reduced damage to their soul and body, enough that they can survive potentially deadly wounds if their will to live is strong enough. Many believe the gun cursed, as it fails to work for anyone who dares pick it up. In fact, once picked up, the holder walks out into the nearest street, and acts out an old-fashioned Gun Duel. What nobody sees is that inside the soul realm, they're fighting for their lives. The Gunman challenges each who wield his weapon in a gun duel, in the street. Anyone who beats the Gunman is proclaimed worthy of the gun, and allowed it's powers. Any who lose in the Gunman's world, suffers a lack of soul and dies in the real world. Personality: The Gunman, a personification of the Gun. The Gunman is rather snarky, and condescending towards his owners. But once you earn his trust, he's... still rather snarky. But much less so, and he'll even offer guidance and information to the owner who defeated him. Found: Above a bar in a Wild-West world. Nobody's touched it, as it's believed to be cursed. It's just a mantlepiece now. Soul: Hades, Emperor of the Underworld. Twisted into The Gunman by his years in the Wild West. Reasoning: Crush is looking for a way to stop Glados. While this may not be it, I'm sure many of the androids/reconfigured test subjects still have souls, even if they torment, and they'd probably be want to sent to the afterlife. Not to mention Glados may have a soul... But the big point is that Crush has to visit the underworld to retrieve this artifact; Where the dead live. Including his dead wife. CHARACTERIZATION, HO! *Ahem* Anyway, Crush being a guide and ambassador to the dead fit his role as a reverent and caring badass. okay, so that's out. Now he has to face the Gunman in order to prove himself worthy of the artifact. also, power's been reduced. The post was edited 3 times, last by Spudbob ( May 30th 2018 ). 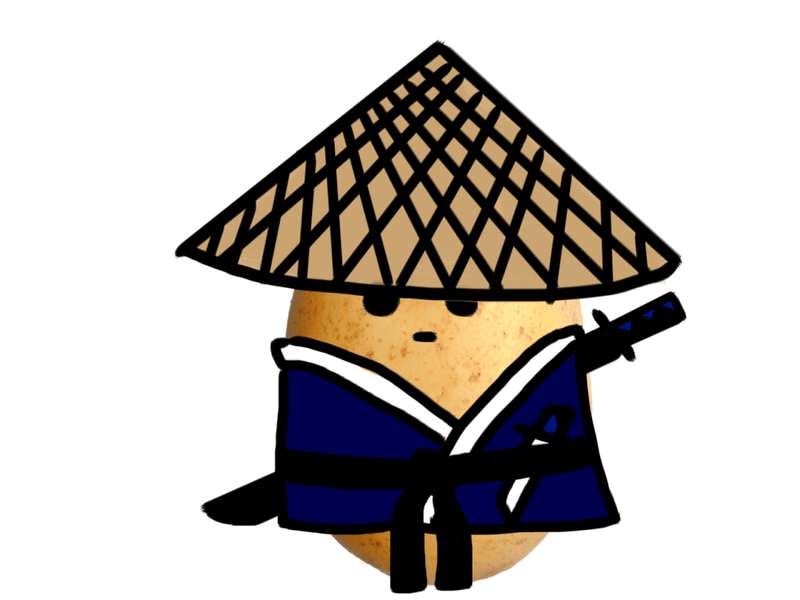 I'm just as happy as Spud on the AU thingy. I don't mind at all. The artifact can be basically anything. a stone, a weapon, jewelry, an antique lamp, it doesn't really matter. XD that'd be so funny. Or if someone thought he was an artifact, and tried to steal him. Yeah that would be a good idea. I have Derek and Jewel, and i think both would be helpful for little problems like finding artifacts and gathering party members. -birth date: He doesn't really keep up with birthdays. Powers/skills: Transformation and Captivation. He can shift between a human form, and his true form, a pure white fox. Because he is a romance spirit, people around his fall in love with him quickly and easily, as well as enhance romantic feelings already there, even if not directed at him. Not very physically strong, but fast and agile, and a quick thinker. Weaknesses: Not physically strong, easily gets attached to people and things, heartbreak completely devastates him. He absorbs the emotions of people around him, and can be swayed by their feelings. Weapons: He is rather skilled at mixing poisons, and uses blowdarts to poison his enemies instead on attacking head on. Appearance: When he's in human form, he has fluffy light brown hair, warm peachy pink eyes, pale creamy skin. He's around average height, slim, And very cute and handsome. Style: He is very serious about fashion, and hates wearing soiled or dirty clothing of any kind. Often wears simple but fashionable outfits. He's never seen without his simple grey hat. Personality: At first glance he can seem selfish, proud and vain, But he's a good, loyal friend once you get to know him. Very flirty, dramatic and fabulous. Loves people and making friends. Rather laid back and carefree. Terrified of rejection and heartbreak. Likes: Sweet smells, Pretty girls, complements. Backstory: For the first 15 years of his life, he always traveled everywhere with his older brother, Caspian. The two of them got into a disagreement over Derek making human friends, and it resulted in the two of them parting ways. They haven't talked to each other in years. Derek has wandered about by himself ever since, filling the world with fabulousness. -His human body is mostly a solid illusion, most of his organs aren't actually functional or even there except his lungs and heart. He can't actually eat or drink, and will vomit up anything me tries to eat. Powers/skills: She can occasionally see into the future, mainly through dreams, but has no control over it. Very good memory, when she actually pays attention. Style: Wears a black tank top and pants. Doesn't care about fashion, only comfort. Personality: she's cold and rather mean on the outside but has her own way of being nice. Ish. She's actually pretty caring and sweet to people she likes. She just doesn't like anyone. She's used to being alone, and has little to no social skills. rather sarcastic at times. Can be pretty reckless and hotheaded, and is very likely to just run into danger without thinking first. She's actually pretty intelligent and loves learning and books. Worst fears: Never learning who she is, or what she was meant to do. Friends: She doesn't really like people. Enemies: she hates demons and vain people. -She has nightmares about being trapped in a dark empty place every time she sleeps. She has no idea if the place is real or not and it terrifies her. Derek is going to annoy Crush so much, and Crush is going to hate it. I can see Ana being completely indifferent around Derek, just because that's who she is, until she see's Nicholas. Hey, i think i might need to go over what an artifact is exactly in a lot more depth. The way artifacts are created has already been decided, and i plan to go into the history of them a lot more during the actual Roleplay. Artifacts are not man made:, they are made from the souls of powerful, magical beings that have bonded to objects. They almost always have their own minds and personalities. some have gone completely insane and have lost themselves, so are easy to manipulate. There are also much weaker artifacts called fragments that are only a small piece of a soul. these don't have minds, and have much less power. The more powerful the artifact, the more whole the soul is. Crush is going to hate Derek, because his emotions are tightly controlled, and Derek messing them up is an easy way to tick him off. And because every one generally 'likes' Derek, Crush liking him is going to be like a press. When Crush likes someone, he basically tortures them. So Crush is going to be absolute hell for Derek, and Derek is going to be so confused because 'he should be liking me, he should be nice to me!' Cue Ana talking to him and explaining that Crush is hard on people he likes. Derek then swears to stay as far away from the captain as much as possible. Then Derek just being "God... I can only imagine how hard he is on you..." With Ana just sorta shrugging about it.